One of my favorite restaurants here in Charleston, Butcher and Bee, has a whipped feta dish that is out of this world good. When I saw this recipe I knew I needed to make it. 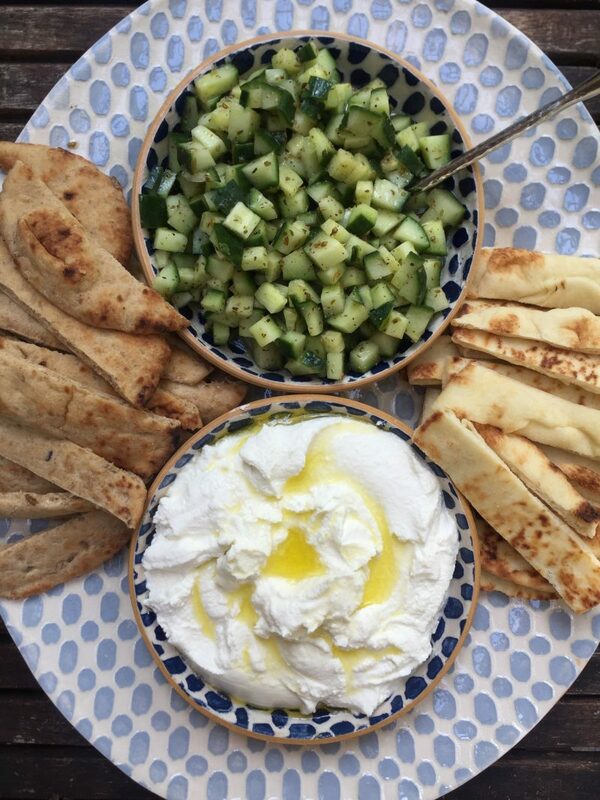 The combination of the whipped feta and marinated cucumbers is so light and fresh. It is hard not to eat the feta by the spoonful- it is that good! You can serve this wth pita chips or toasted naan. I toasted my naan briefly just to slightly heat it and it was perfect with the creamy whipped feta. I think the feta is best served at room temperature so it can loosen up slightly after being in the fridge. Both can be made ahead of time but the cucumbers will only save for about 2 days before they get soggy. Enjoy! In a large bowl, cover the feta with water and let stand 30 mins at room temperature to temper saltiness. Drain and coarsely crumble the feta. Transfer to a food processor and puree. Add the cream cheese, heavy cream, juice from one lemon, 2 tablespoons olive oil and process until smooth and airy. Refrigerate one hour. Meanwhile in a bowl toss the cucumbers with 2 tablespoons olive oil and 1 tablespoon lemon juice. Add oregano and salt and pepper. Cover and refrigerate 1 hour or up to 2 days. Drizzle the feta with a little olive oil right before serving. 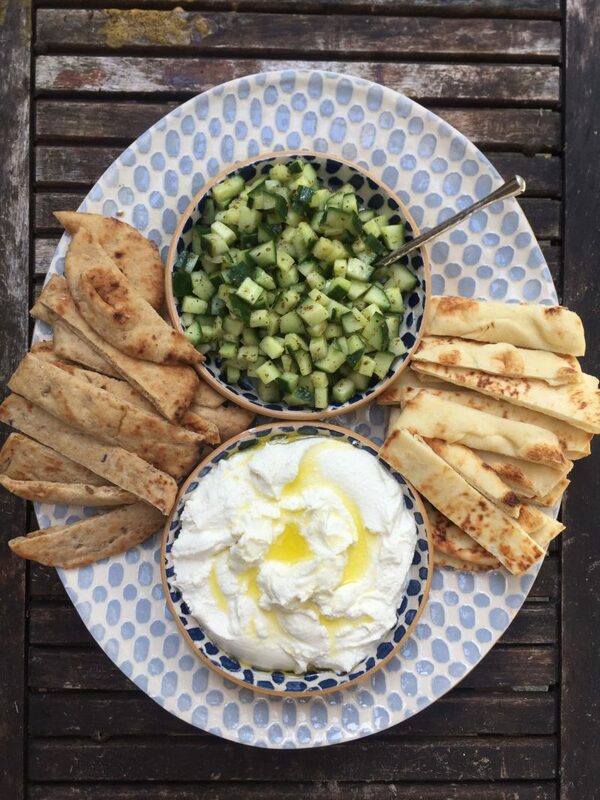 Serve the whipped feta at room temperature with cucumber and naan or pita crisps. I’m actually super happy you posted this because I’ve been dying to recreate it from B&B! I also like to pick it up at The Daily too when I remember. Thanks!!! YUM!! I cannot wait to try this! Your recipes are always top notch! This sounds like a dreamy appetizer and perfect for summer! So yum, can’t wait to try. How much does this make? 2 cups? 4 cups? Just trying to gauge for a party! Hey Girl! I would say it makes about 2 cups? Hope you love it! I hope you do a cookbook one day!